Horațiu Rusu & Andrei Gheorghiță. 2014. Sociologia - Slovak Sociological Review 46(3): 261-282. A new paper written by Horațiu Rusu (member of our research group) and our colleague Andrei Gheorghiță (both from Lucian Blaga University of Sibiu) analyse EVS 2008-2009 data to show how the attitudes towards EU varies with transnational solidarity. The tendency to be solitary with Europeans and, correspondingly, with immigrants to own country is used to denote transnational solidarity (the variables are combined in only one indicator). 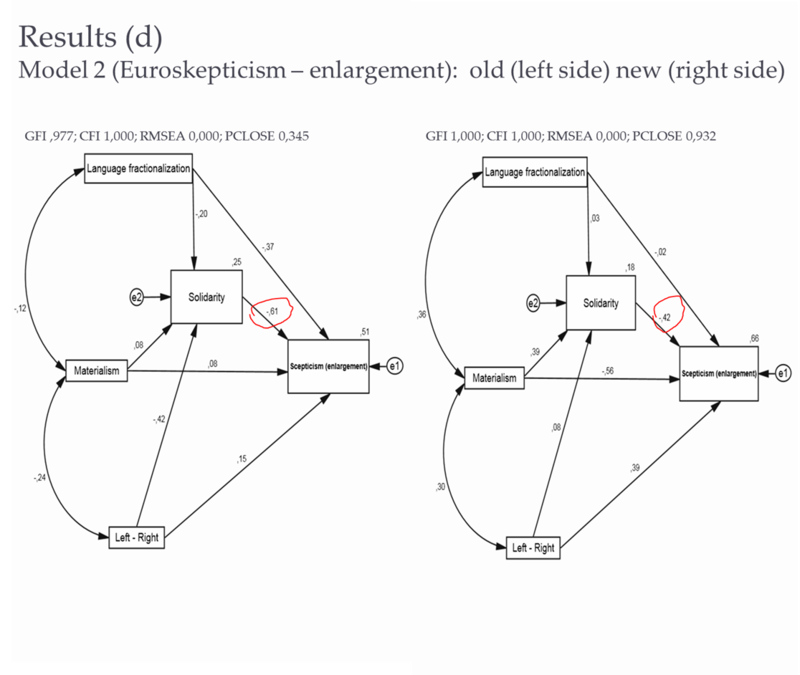 Multilevel models show that, after controlling most usual determinants, this indicators positively relates to attitudes towards EU enlargement. The authors conclude that basic social values, such as solidarity, contribute at least partly to trigger support for EU enlargement. The same apply to having a broader subjective identification (European contrasted to national, national against regional, etc.). The above picture presents preliminary models, not included in the final article. For more details please read the paper, published in an open-access standard.